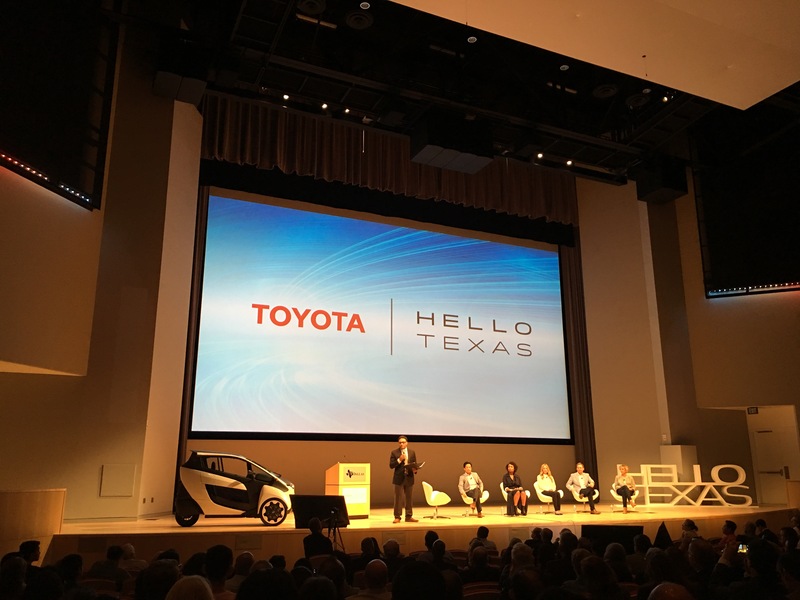 Toyota USA made a big deal to announce their “neighborhood” in the DFW area by hosting a “Hello Texas” event in Art and Technology Center in UT Dallas. The event was well attended, especially given that a lot of students have been looking forward to the Toyota headquarter construction and migration in Plano, and see what kind of (job) opportunity they can expect after their graduation. This is the second time I listened to the talk by Osamu “Simon” Nagata, the EVP of Toyota USA – first time was in the DFWAACC dinner banquet. I particularly appreciate the preparation that he has made to ensure his speech is as related to the audience as possible. In addition, he did quite a lot of “homework” to understand the culture, sort of… For instance in his speech in DFWAACC, he talked a lot about Texan culture during his move, and “eat more chicken” came out. During the UT Dallas speech, of course he recognized the great chess team UT Dallas possesses. His accent is still pretty strong, but he speaks very clearly so that everyone can understand him. He is indeed a very good speaker. Having mixed feeling having a large corporation moving it’s headquarter to the neighborhood. On one hand it does bring a lot of opportunities (and good food – since a lot of Asian will be moving in, more grocery stores and restaurants will be opened), but it will bring a lot more traffic congestion into the already busy city. It is overwhelming, and not sure how much the city officials have been keeping up with it. I do appreciate Toyota USA keeping the communication with the local community on how it progresses during the migration. Yes, it is a bit of advertisement, too. But it is better than being silent and just focusing on only making money (and saving tax). Looking forward to seeing how the community and city progress after the giant moves in.